Whether you want to find out what’s the root cause of your repetitive drainage problems or you simply want to establish the drainage condition for your peace of mind, performing a CCTV drainage survey Kent is certainly a lot easier, faster and more effective technique than drainage excavation. Drainage problems like cracks, joint misalignment, tree root intrusion, deformities or any other issue with the pipe can’t be identified from above the ground. 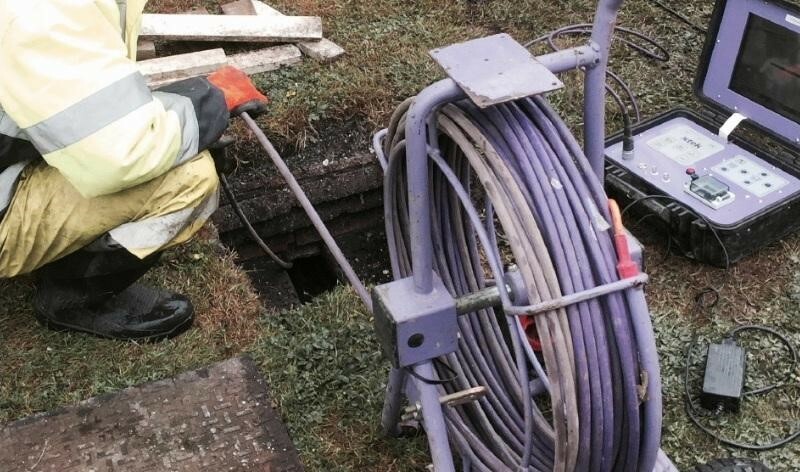 But a CCTV drainage survey technique can quickly and easily pinpoint any problem with your drainage or sewer line. And once the problem is identified and located, the drainage professional can advise you of the most effective drain repair treatment for your property. Reported are generated as per WRC standard. Both DVD and printed reports are given to the property owner upon completion of the survey. Unless and until you don’t know what the real cause of the frequently occurring blocked drain or other drainage problem is, you can’t fix the issue permanently and the situation gets worse as time passes. The correct way to fix your drainage problem in one time is to carry out a CCTV drainage inspection first and then opt for the right repair solution in order to get your drains running again. With CCTV camera, one can watch the visual content, i.e. the video footage of the drainage inspection, in the real time. Using the inbuilt software in the equipment, the operator can also get the sketches and reports any time during the survey. All these survey results are prepared in compliance with the industry standards and thus considered valid by the insurance companies. No homeowner would wish to have drainage technicians coming to their place and performing excavations for several days in a row. Your everyday routine can get disturbed causing you a lot of inconvenience and discomfort. This is when CCTV drain inspection comes to your rescue. This state-of-the-art drainage survey technology keeps disruptions to the minimum. It is also referred as no excavation and no-dig technology by some drain repair professionals. Besides, it completes the survey in much lesser time than those traditional drain survey methods. Imagine you shifting to your new home and finding out the drainage system doesn’t function at all or works poorly due to severe problems growing inside. Yeah, it can cause a lot of headache and make you feel annoying. This is why performing a pre-home-purchase CCTV survey is a much better choice. The drainage inspection will help you find out if there is any problem inside the drainage system or sewer line before you seal the deal. A CCTV survey can save you from big drain repair expenses and many other hassles that just come along with potential drainage problems. Probably now you can see how a CCTV drain survey pays for itself. Getting persistent issue with your drainage system? Call out a CCTV drainage survey specialist in Kent right now!